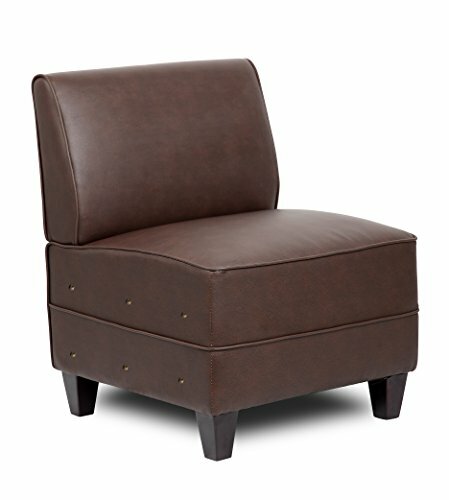 Upholstered in Bomber Brown LeatherPlus. Modern style design. Mocha finished wood legs. Minor assembly required for leg attachment. Accepts left or right arm. Available in Black LeatherPlus.